Jessie Jarvis is a born and raised Idahoan, with a strong passion for promoting agriculture. She graduated from the College of Idaho in 2011 with a Bachelor’s Degree in Business Administration. She and her husband currently ranch alongside her parents in King Hill. 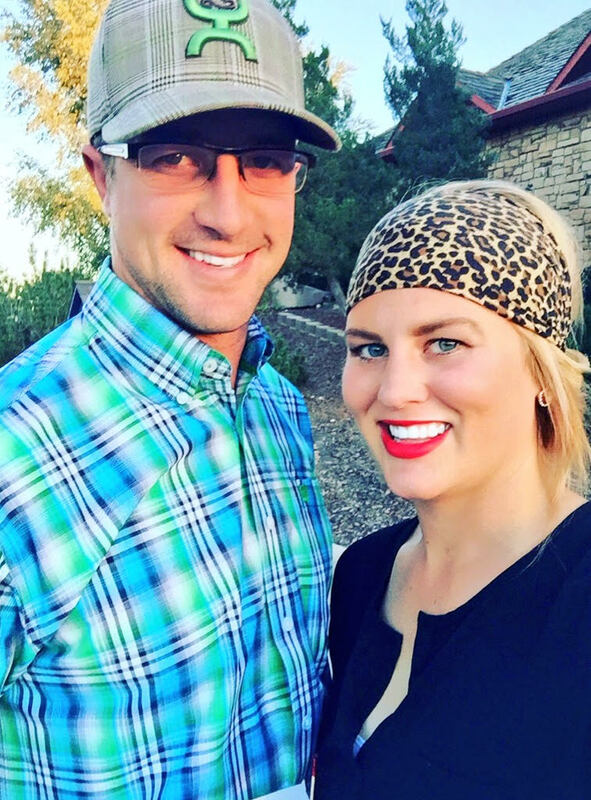 Prior to moving home, Jessie spent almost three years working as the Communications Director for the Idaho Cattle Association. When she isn’t out doing ranch work, Jessie still manages to maintain a career in marketing and communications. She is also a regular contributor to the Idaho CattleWomen blog, covering anything from the first calf of the season to sharing the recipe for her Mother-in-Law’s famous Taco Salad. How are you involved in agriculture today? We have a cow-calf operation, and a small farm where we primarily grow alfalfa and silage corn. Very, very rarely do our crops get sold, because we grow them specifically for the purpose of feeding our own livestock. No two days are alike, which is part of why we love what we do! I’m also very passionate about telling the story of agriculture whenever I get the chance. To me, it’s very important that consumers have the opportunity to better understand where their food comes from, and who is producing it. How has your life been shaped by agriculture? Agriculture truly has made me who I am today. I am so lucky to have been born into such an amazing industry with such inspiring people. If I had to use a single word to describe agriculture, “selfless” would be at the top of the list. The “leave something better than you found it” mantra is a common thread between every one of us, and it’s something we carry far past the farm/ranch setting. Knowing that those around me are constantly making things better, not only for themselves, but for those to come, really helps me hold myself to a higher standard. Who inspires you or serves as a mentor? This is actually a difficult question for me to answer, because I truly can’t narrow it down to one single person. However, if I could have lunch with three people, I would probably pick Kadee Coffman, Laura Bush and Miranda Lambert. I have a deep respect for each of them, and know I could glean a lot of wisdom from such a diverse group of instrumental women. How do you provide encouragement to others? I will be the first to tell you that we’re all faced with our share bad days and difficult situations, but regardless of how terrible things may seem, there’s always a silver lining. For that reason, I’m big on positivity. You can’t do great things in life if you’re surrounded by negative thoughts from negative people—so I always try to help others think in an optimistic manner. If given the chance, what message about agriculture or the beef industry would you share with a large group of people? Food is the one subject where everybody thinks they’re entitled to an opinion. I’m all for people gathering information and basing their opinions off their conclusions, regardless of whether they agree with me or not. But it bothers me to know that people aren’t posing their questions to those who know food best. There’s a reason WebMD® can’t give out prescriptions, but a real doctor can. The same applies to food. If you have questions about what you’re feeding your family, make sure that one of your information sources is someone who actually produces it!!! What are you most thankful for? Ranching is not an easy business, especially for two “kids” in our 20s, like Justin and I. I am so thankful that we are able to work alongside my parents—two of the best in the business—and have the chance to soak up all they have to offer in terms of wisdom and insight. I’m also thankful for all of my “biggest problems.” I know that’s kind of a strange thing to be thankful for; but when I look around at the rest of the world, even my biggest problems are so miniscule! Those issues are what remind me of how easy I have it. I’ve got a great husband, loving parents, supportive friends, good horses, great health, a roof over my head…the list is endless! What is your favorite meal to cook yourself or for others? If I’m cooking for myself, regardless of the time of year, I love a good steak salad. People think salads are so boring, but they’ve obviously never tried one from my kitchen. I always mix an array of things in—my salads are never lacking in flavor, but still so healthy! What is your favorite childhood memory? Growing up as an only child I spent a lot of time with just my parents. We were never big on watching TV, so quite often we spent many summer evenings riding horseback through one of our Bureau of Land Management (BLM) permit fields. Initially those outings were where I first learned to ride. As I got older, my Dad would test me on my knowledge of different grass species, or tell us stories of the things they’d do in the same area, when he and his sister were my age (like trying to catch a “pet” coyote). In recent years, I’ve also grown quite fond of the first memory I have of meeting Justin. Our families have known each other forever, but my first memory of him is from when we were six, at an Elmore County Junior Rodeo. I still have a newspaper clipping from that rodeo that says something to the effect of “All-Around, Jessie Thompson; Reserve All-Around, Justin Jarvis.” I joke that it was probably the first and last time I ever beat Justin in anything rodeo related! What are a few of your guilty pleasures? I love a glass of red wine! Favorite store to shop in? Anyone who knows me can attest to the fact that I love to shop. By no means would I dub myself as a shopaholic, but I love being able to show off my uniqueness and creativity through a well put-together outfit. If I get a chance to make it to the mall, the first place I stop is Bohme—they have a great variety of stuff, and none of it is too expensive. Since ranching keeps me so busy I end up getting a lot of my stuff from online boutiques. A few of my favorite shops are The Rusty Rose, Southern Trends, Redford Ranch Style, and Mesa Dreams Leather! Be sure to keep up with Mrs. Jarvis on Facebook, Instagram, and Twitter!